Home / Makeup / MAC makes Halloween super-simple! 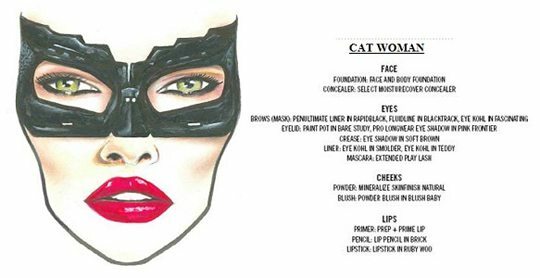 So, now that you have stocked up on the Halloween beauty goodies, it’s time to figure out some makeup looks for full-on dramatic effect. And MAC is here to help with four looks that evoke some very of-the-moment characters. Terrific last minute inspiration, complete with face charts and product recommendations! 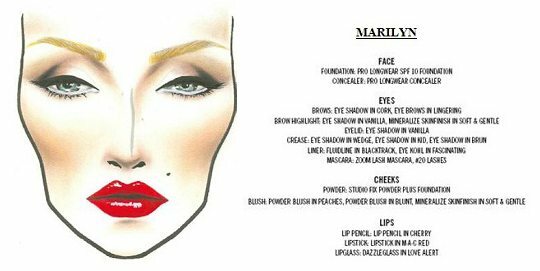 With the newly released Marilyn Monroe collection, it’s no surprise that the beauty brand has created a Halloween makeup look based on the cinematic icon, complete with smokey cat eyes, sculpted cheekbones and red lips. And, of course, what would this year’s Halloween be without Catwoman as played by Anne Hathaway in The Dark Knight Rises? Winged eyes and bold red lips courtesy of Ruby Woo… that’s all it takes to channel one of the biggest movie moments of the year. 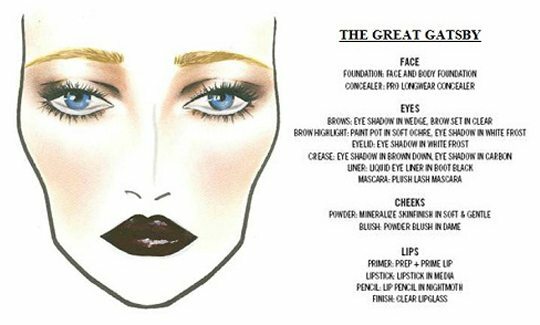 The 1920s are one of the biggest trends for Autumn-Winter 2012, so be the most fashionable party-goer by channelling The Great Gatsby’s Daisy Buchanan with thin eyebrows, dark lips and dressed-up eyes. If you are not over The Hunger Games yet (I am! 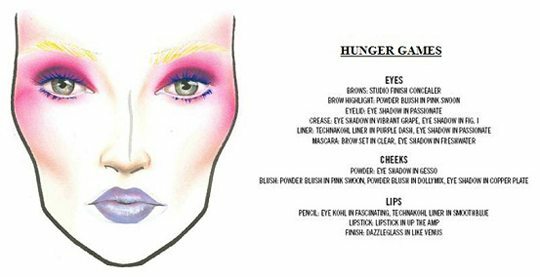 ), get into the Capitol spirit with Effie Trinket’s pink eyeshadow, purple lashes and lilac lips. Which of these looks would you like to channel? I am personally leaning towards Daisy Buchanan… there is something about the ’20s that’s completely irresistible, isn’t it? Do you think those are good? Do you have any recommendations to make? Thank you soooo much for your time!!! If you are looking for a genuine kohl, try Biotique. Failing that, Himalaya Herbals would be better than Lakme, which tends to me more chemical than actual kaajal. Have you read my post on kohl, btw? No, I MUST read tho! Could you please provide a direct link? Hope the Biotique works for you!